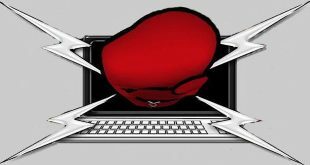 We scoured the globe for current and former Team Saddos writers who were interested in contributing to our staff Floyd Mayweather vs. Saul "Canelo" Alvarez prediction piece, so with no further introductions, we hope you enjoy the results, presented in alphabetical order! All the during the build-up to this one, I've been thinking that Alvarez would be seriously weakened by having to make 152 pounds, which obviously is why Team Mayweather set up the restriction, and yesterday's weigh-in only confirmed my viewpoint. Alvarez looked drawn; maybe at 23 years of age, he'll be able to reconstitute by tonight's fight but, the kid from Guadalajara gave away any youthful stamina advantage he may have had in the later rounds the second he agreed to fight at two pounds below the light middle limit. Mayweather should still be able to handle whatever Alvarez can muster during the first half of the fight and then go on the offensive in the second half to produce a points victory. Finally, this one is about to happen! Having waited for the fight to be made for at least a year and then labored through all the pre-fight events, it's such a relief to finally be on the cusp of something great in Las Vegas. Will this fight live up to the hype? Definitely. The master vs. a young, dangerous challenger to the throne. It's a true 50-50 fight, the first one Mayweather has been in for a long time now. Recently, Mayweather's last four opponents: Ortiz, Guerrero, Mosley (early on before he telegraphed everything) and especially Cotto, didn't have much difficulty landing when they threw punches. Alvarez's handspeed is just as fast as any of them and he hits harder. To me, what really will decide this fight is Canelo's ability to get hit round after round and not get discouraged. If he does and loses confidence, he doesn't have a chance. But, if he can shake off Mayweather's shots and keep the pressure on, we'll see a new champion atop the pound for pound heap. Advantage Floyd Mayweather Jr. because referee Kenny Bayless is assigned to the fight. I actually was in the minority who believed Alvarez had an actual shot at dethroning "Money" Mayweather if he pressured with an inside game. Now, I don't think Alvarez has much of a chance. There is no way Bayless, who gets too involved with the fighters, will let Alvarez go inside on Mayweather. I predict a split decision victory by Mayweather. began to lustily boo him. I see Canelo's strong dislike of Mayweather fueling his ability to walk through the hail of leather he'll need to take as he gets inside, but once there, I don't think he'll give Mayweather a moment's rest and we'll see just how the 36 year old multi-weight champion deals with being unable to set the pace to his own comfort. Alvarez will produce the biggest upset since Tyson lost to Douglass, whipping "old" Floyd on points. I can't seem to go along with everyone else in deciding that this is "The One". It just isn't. Alvarez isn't ready for a fight of this magnitude yet. Period. Two years down the road, with the kid more experienced and Mayweather 38 years old, then maybe this is competitive. But not now. Alvarez will spend 12 rounds punching air, getting countered into a bloody mess for his troubles and he'll never be the same fighter afterward. Mayweather is unquestionably the best boxer of the last decade and while he is obviously greatly gifted in the skills department, he's also a superb matchmaker. Think about it - the last time that Mayweather faced an opponent in their prime and at least his size was Jose Luis Castillo in their 2002 rematch. Everyone else Mayweather has fought has been either past it (De La Hoya, Hatton, Mosley, Mitchell, Judah, Corley), blown up in weight (Gatti, Marquez, Guerrero, Cotto), or just plain second rate (Ortiz, Sosa, Bruseles, N'dou, Baldomir). Now comes Canelo Alvarez; he's not past it, blown up in weight or second rate. But he is a manufactured hype job who's popularity exceeds his talent. Well done once again Floyd, who should win by unanimous decision. Floyd Mayweather may be the smaller fighter, he may be well into his thirties, but it is so difficult to pick against him after so many years at the top. I've no doubt his training camp has been excellent, and there is no doubt he will be completely professional and in the best possible shape for this fight, but age catches up with everyone in the end. But I don't think this is the fight where it does catch up with him, and I think that Mayweather takes it by three or four rounds. The opening few rounds will be fairly slow, both fighters trying to catch each other out, Mayweather with his usual sparkling counters, but Canelo doing enough to keep people thinking, maybe one or two impressive flurries. As the fight goes on, Alvarez will feel he has to push in to try and get more of an influence on the fight, and this is where Mayweather really capitalizes. Once he's confident he has the fight in the bag, he'll start to look for the finishing line, and Canelo may pick up the last round or two. Floyd Mayweather is not just the master in the ring, he is also the master matchmaker out of the ring, making sure he takes fights and fighter at the right time for him. I feel he has done this again because if he left this fight any longer, they would both be older and this would 100% tip the odds towards Alvarez, who would have become more experienced. It seems disrespectful to say a fighter with the boxing skill and class of Canelo Alvarez has a punchers chance, but I feel this is the case, as long as Floyd has not aged overnight. A lot has been said about if Alvarez can connect with a meaningful shot and I truly believe he will, which will raise a few eyebrows and get the crowd excited, but the key with this fight is consistency of connecting which the old master Floyd will have and sadly, for Alvarez, he will not. This one is purely down to both fighters defense skills. I do see a confident Alvarez entering the ring making for an exciting first few rounds, but once Mayweather adjusts on the fly, he will simply frustrate the young gun until the very last bell with Alvarez, by that time feeling lucky and happy to have just went the distance. Floyd via UD. Personally I think Mayweather takes it on points! This time, "Money" has bitten off more than he can chew. Mayweather has shown us in the past that he can't take a punch all that great, as displayed by the head shots of DeMarcus Corley, Shane Mosley and the body shots of Jose Luis Castillo, but generally Mayweather, when he gets rocked, can control his opponent until his head clears. Not this time. Alvarez will combine the De La Hoya and Castillo fight plans; jab his way in with follow up right hands like Oscar and then once inside, punish Mayweather to the body like Jose Luis did. But on this occasion, Alvarez won't run out of gas like De La Hoya or fail to land head shots like Castillo once Mayweather's guard is forced to protect the body. No one stays unbeaten forever, and Mayweather's 0 will go Saturday night when Alvarez produces a late round KO. This fight a no lose situation for Canelo. Don't get me wrong, I'm not picking him to win on Saturday night, I think Mayweather remains unbeaten. However, from where I sit, there is no downside to this bout for Canelo. I see this fight going down in a similar fashion to that of the Floyd vs. Cotto fight. 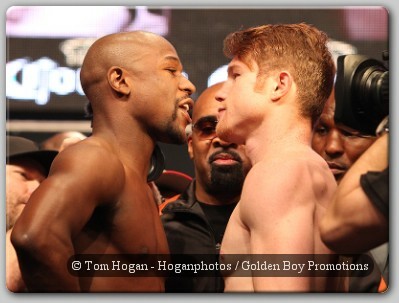 Floyd will be too fast and way too smart for Alvarez and will win on points 116-114. But I don't think that it will be without controversy. Fans of Canelo will only see his shots landing and will remain blind to the intelligent and manipulative work that Floyd has been known for throughout his career. I wouldn't be shocked with a split decision as one of the judges will have it 115-113 Canelo (similar to the De La Hoya fight). However, even in a losing effort, Canelo will come out smelling like a rose. He stepped up at an extremely young age and fought one of the greatest of all time. I would argue that he's not even close to his peak yet and will gain millions of fans from one of the most anticipated events in recent years. He is great for the sport of boxing and will remain a world class draw for many years to come. Official prediction 116-114 Floyd! Next Mayweather vs. Alvarez: The One – But Is It, Really?